New research shows Crosse committed many crimes under undetected aliases, including store break-ins, bank robberies, Wall Street stock forgeries, counterfeiting conspiracies, and more. His career revolved around a female blackmailer who matched his capacity for deceit and cunning, Jane Fleming. For several years, his accomplice was a mixed-race slave, Bob Burwell, whom some observers believed to be craftier than Crosse himself. In many respects, Crosse appears to have modeled himself after the shape-shifting huckster figure of Herman Melville’s The Confidence Man. 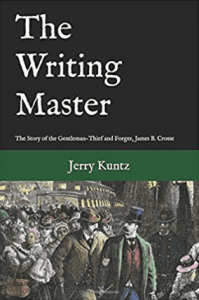 The Writing Master is a true crime story, as Crosse and Fleming encountered the great detectives who pursued them; colorful rogues and thieves; and historical figures such as President Andrew Johnson and the great villain of the age, John Wilkes Booth. Jerry Kuntz is a librarian and historical researcher who enjoys bringing to light the stories of little-known characters and events. His interests has focused on people involved in American subcultures from the time period 1850s-1930s, including: baseball promoters; Wild West show performers; the dance hall demimonde; early hard-helmet divers; an Amazon orchid collector; and 19th-century professional criminals. 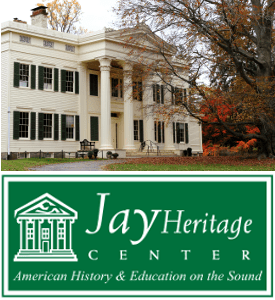 Jerry and his family live in the Hudson Valley section of New York State. Great true crime(s) story for anyone interested in how the “underground” of society operated, crossing paths with the famous and infamous, “moving quiet-like in the shadows”. Who’s that standing behind Booth at the bar? !